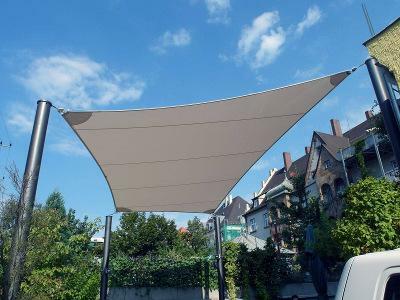 SOLAR PROTECT SONNENSEGEL GMBH, Canvas for blinds and covers, Awnings, Rollable sun sails, on EUROPAGES. Always focused on the future, we have developed our company from a small producer of awnings to a manufacturer of complex awning systems. Honesty is our top priority, which means that we only do what we can expertly accomplish. To reach the optimal solution for sun or sun-and-rain protection, we closely analyse all individual circumstances. That is why our awning systems are always tailored to the particular requirements, are functional and have a very long service life. 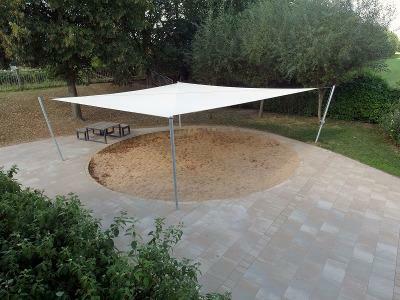 We plan the awning system of your dreams and produce the individual components at our plant so that they are tailor-made, precise and fulfil the highest demands on quality. 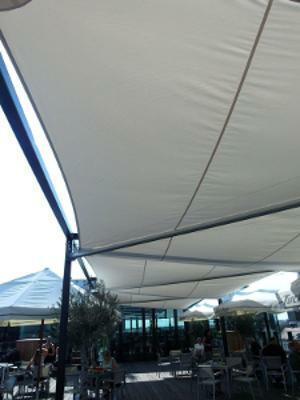 The matching awning is cut to size by hand at our own awning factory from a selection of the finest fabrics. Let us convince you of our philosophy, get to know our products and look forward to your own awning or awning system from solar protect sonnensegel gmbh.